As noted in Why Does Portland Have ALL the ADUs?, Portland is probably America’s most ADU-friendly city. Portland has eliminated many of the Barriers to ADU Development in two big ways: by relaxing regulation and by offering generous financial incentives. Whenever a developer builds a new house they pay System Development Charges (SDCs) which are the fees a developer pays to “buy in” to the existing infrastructure: water, parks, transportation, etc. In 2010 Portland passed the System Development Charge Waiver, which enabled homeowners to build an ADU on their property without paying the SDCs. Building within the fabric of our existing neighborhoods is more cost-effective than sprawling our infrastructure into the suburbs. However, since SDCs are not scaled to the size of the project, a homeowner would pay the same amount to connect their 300 square foot converted garage into an ADU as they would to build a 3000 square foot brand new house that could accommodate a family of six. SDCs can cost upwards of $10,000, so the waiver of these fees has been a huge financial incentive and resulted in a massive uptick in the number of permitted ADUs created over the past five years. Allow ADUs By Right: In 1997 Portland amended the regulations to allow an ADU by right, meaning that a homeowner can build an ADU on their own property as long as it meets the ADU Guidelines. They don’t need to go through a conditional use permit, get the approval of neighbors, conduct a traffic analysis, or have a massive lot in order to add a second dwelling unit. Several ADU homeowners – such as Blake Clark and Sabina Chen – noted that they’d lived in places with lots of illegal mother-in-law units, so they were pleasantly surprised that in Portland they were allowed to create a legal ADU. Folks like Katharine Lawrence and Charlie Weiss were ahead of their time when they tried to talk the city into helping them create a legal ADU. If you want your city to become ADU-friendly, encourage your planning office to adopt a zoning code for ADUs that allows ADUs by right on single family properties within a set of ADU Guidelines. Increase Allowable Square Footage: Portland increased the allowed square footage to 75% the size of the primary dwelling (with a max of 800 square feet). In Portland if your existing home is 1060 square feet you can add an ADU that is 795 square feet, so the ADU can be nearly as big as the house! In many areas ADUs are restricted to 1/3 the size of the primary dwelling, which makes it very difficult for property owners to build an ADU unless they have a large home. Bruce Nelson and Carolyn Matthews designed their ADU before the square footage maximum was increased so they had to get a variance to build their 640 square foot ADU. Most Americans find that the prospect of living in 300 square feet (especially with a partner and/or kids) seems extreme while 800 square feet seems much more livable. If you want your city to become ADU-friendly, encourage your planning office to adopt a zoning code for ADUs that allows ADUs to be nearly as large as the primary dwelling, up to a certain point. Increase Height Limits to Allow 2 Full Stories: Many ADU owners explained that they would like to do a 2-story ADU because it minimizes the footprint of the ADU, which allows more backyard space and is more energy-efficient. However, they’ve had a hard time getting the necessary head height for code stairs in the small space allowed. In December 2015, Portland’s Accessory Structures Zoning Code Update Passed, which allows an extra 2 feet of height for 2-story ADUs. This would have really come in handy for Paz Pozarycki, who got creative with the 18’ height limit and dug his ADU down into the ground 2 feet to meet the earlier requirement! If you want your city to become ADU-friendly, encourage your planning office to adopt a zoning code for ADUs that allows ADUs to be 2-stories tall. Reduce Design Requirements: In December 2015, Portland’s Accessory Structures Zoning Code Update Passed, which removes design restrictions for 1-story ADUs, allows 1-story ADUs to be built within the setbacks, and allows an extra 2 feet of height for 2-story ADUs. Many ADU owners, designers, and builders have been frustrated with the requirement that detached ADUs match the look of the primary dwelling, particularly when the primary dwelling wasn’t particularly attractive to begin with. Sheila Butler and Stephen Williams both came up with interesting work-arounds to address this challenge. Many ADU owners want their ADU to match the primary dwelling, but most owners, designers, and builders are pleased with the new opportunity to be creative. If you want your city to become ADU-friendly, encourage your planning office to adopt a zoning code for ADUs that does not require short, small ADUs to match the primary dwelling. Eliminate Parking Restrictions: A few years ago Portland removed the requirement to provide an additional off-street parking spot (as long as required parking spots are not eliminated). (Check out Do ADUs Cause Neighborhood Parking Problems? for evidence that ADUs don’t cause parking trouble, in part because ADUs add Discrete Density and in part because ADU dwellers are less likely to own cars.) ADU homeowners like Stew & Lisa Hulick decided to create an ADU on their property once this restriction was eliminated. Susan Moray turned the required parking spot for her garage to guesthouse conversion into a paved patio. It could be used for parking but many of her guests arrive without a car! If you want your city to become ADU-friendly, encourage your planning office to adopt a zoning code for ADUs that does not require additional parking. Remove Owner Occupancy: In Portland ADUs are not required to be owner-occupied. This means there are Options for ADU Owners, including: Own Two, Rent One; Own Two, Rent Both; or have A Backyard Landlord Cottage. In many places in the country owners are required to occupy their primary dwelling or the ADU. Additionally, some cities don’t allow ADUs to be rented and some only allow ADUs to be occupied by a family member or servant. Owner occupancy requirements for ADUs have been challenged in the legal system, but they’ve been both affirmed and rejected by courts. If you want your city to become ADU-friendly, encourage your planning office to adopt a zoning code for ADUs that does not require owner occupancy. Here is an example of Model Code for Accessory Dwellings written by Eli Spevak which you can use as you advocate for your city to become ADU-friendly. Best of luck! The ADU in the photo on this post caught my eye. I have a two-car garage (CMU construction, permitted in 1949) on a corner lot that I’d like to convert. However it is situated directly on the rear property line and only two feet back from the side street lot line. Does anyone have relevant experiences to share? Hi Edwin! Thanks for your comment and your question. It may be possible to convert your structure despite it’s location close to the property lines if you comply with the guidelines. Portland recently amended the zoning for accessory structures (the umbrella that includes Accessory Dwellings). 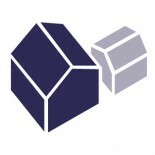 You can check out the overview by reading this post: https://accessorydwellings.org/2015/12/02/the-accessory-structures-zoning-code-update-passed/. Good luck! What about the tax implications in Multnomah county? Don’t the taxes make it too expensive right now? Even with the city on board, it seems like there can be other cost ramifications. Dear Jo, thanks for your question. One of our editors, Kol, has written a series of posts that address the tax impact of building a detached ADU in Multnomah County right now. I encourage you to read those posts to learn more about the cost ramifications: https://accessorydwellings.org/2015/12/23/the-death-of-detached-adus-in-portland-and-what-to-do-about-part-iv/. This entry was posted on March 4, 2016 by linamenard in News, Policy & Trends and tagged ADU building code, ADU policy, ADU zoning code, ADU-friendly, ADU-friendly city, how to promote ADUs, how you can promote ADUs, where can you build ADUs.